The website details Brian”s upcoming racing schedule and includes video footage of the rock singer behind the wheel. Visitors to the site can also purchase an audiobook version of Johnson”s recently released book “Rockers And Rollers: A Full Throttle Memoir“. The AC/DC leader singer was due to go on tour in February 2012 in support of his book, but has now cancelled all shows in order to undergo casino wrist surgery. The surgery apparently won”t affect Johnson”s plans to compete in the 50th anniversary of the Rolex 24 at Daytona International Speedway, scheduled for January 28 and 29 in Daytona Beach, Florida. Johnson hopes to raise $1 million for the Austin Hatcher Foundation for Pediatric Cancer through his involvement in the race, and has lent his support to the charity”s “Highway to Help” campaign. AC/DC fans who wish to donate to the cause can text “ACDC” to 501501 during the race. 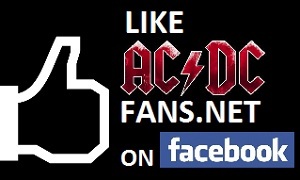 Get all the latest AC/DC news right here at ACDCfans.net. Hi Brian, If you ever do fancy coming back to Tyneside to Live, check out RUNNYMEAD MANSION, the biggest house in the north east, it was in the chronical and on look north; it had your name stamped all over it.